MOSCOW, April 08. /ITAR-TASS/. More than ten multi-role nuclear submarines will be added to the Russian Navy by 2020, Navy commander Viktor Chirkov said on Tuesday after a visit to the Zvyozdochka ship repair centre in Severodvinsk in Russia’s north. Chirkov chaired a conference and heard company executives’ reports on repair and modernization plans, a Navy spokesman told ITAR-TASS. Modernization of the first submarine of Project 971 will be completed in 2015-2016 while Project 945 multi-role submarine will be ready in 2017, the spokesman said. Modernization envisions the installation of advanced life-support, hydro acoustic, navigation, control and communication systems. “The service life of these types of submarines will increase two-fold, while better performance characteristics will considerably increase their combat effectiveness,” he added. 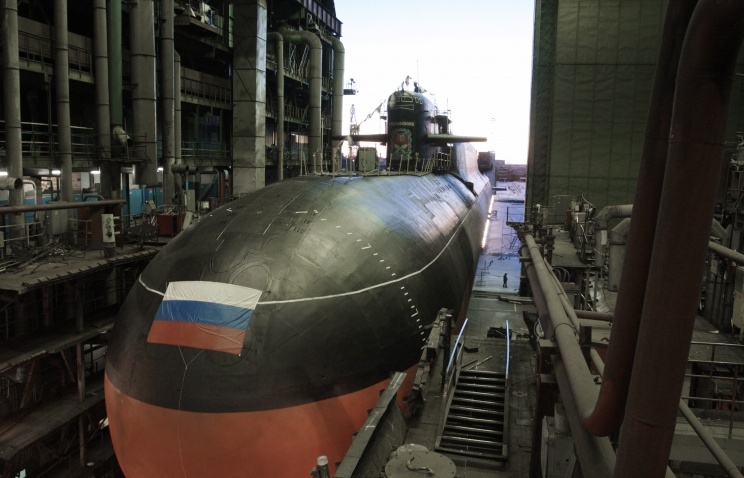 Speaking on modernization of multi-role submarines, the Navy commander noted that the Zvyozdochka company and its counterpart in the Primorye Territory would modernize more than ten nuclear submarines of Projects 971, 945 and 949 till 2020. These nuclear submarines will join Russia’s Northern and Pacific Fleets. “The Russian Defence Ministry and the Navy HQ stated the modernization requirements; there is confidence that these requirements will be met,” the admiral said.